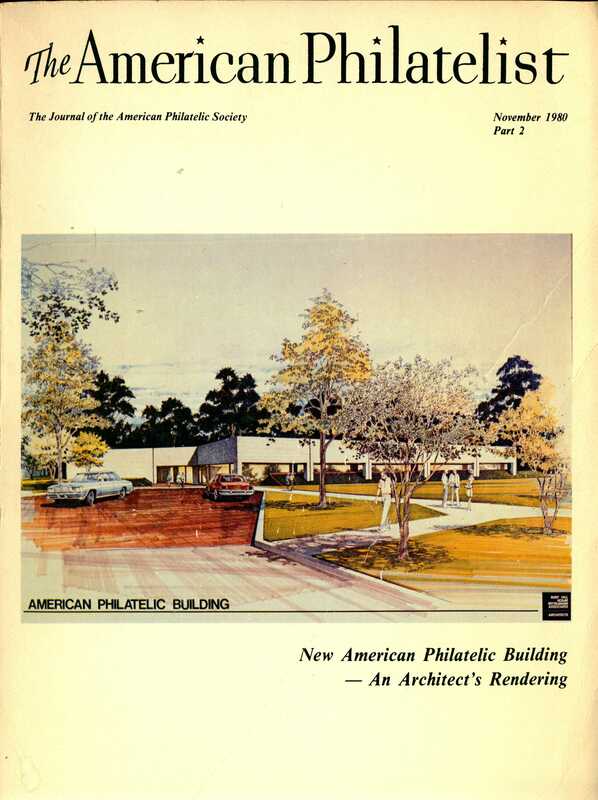 In the course of doing reference work here at the American Philatelic Research Library (APRL), there are often resources that spring up in the library collection that at first glance would not necessarily be considered to have much research value or practical philatelic information capable of answering a specific research request. 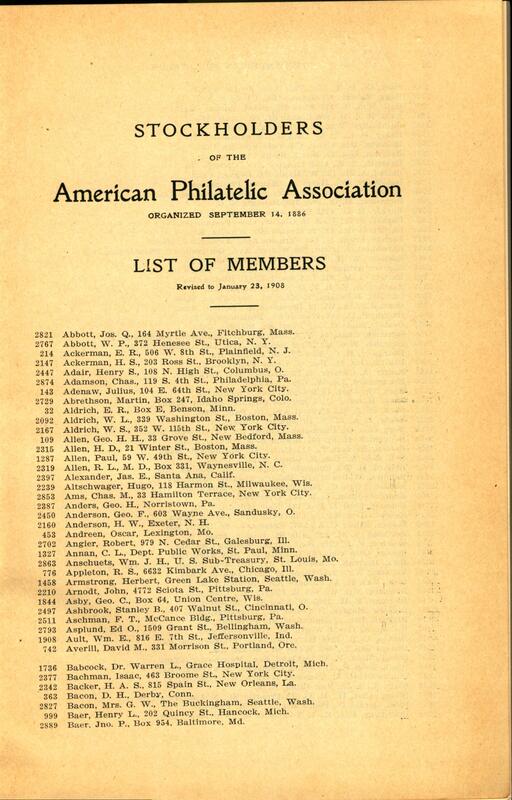 One of these unique and often overlooked resources here at the APRL is what are known as the American Philatelic Society Member Lists, originally called the “List of Members” and still later by the 1970’s, the “Annual Membership Directory”. 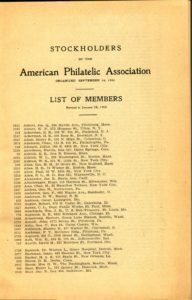 The original Member Lists date back to 1889 when they took the form of a loosely bound typewritten list arranged alphabetically by member surname. 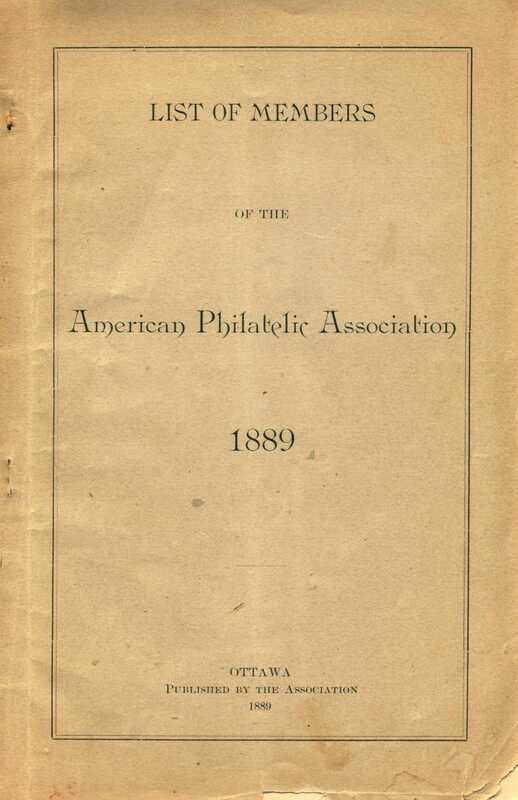 The 22 page 1889 list provides the member’s number in the American Philatelic Association (as it was known then), their full name, and title prefix (Dr. or Rev. for example) as well as an address which could be a P.O. Box number, just a city, or a full street and city address. 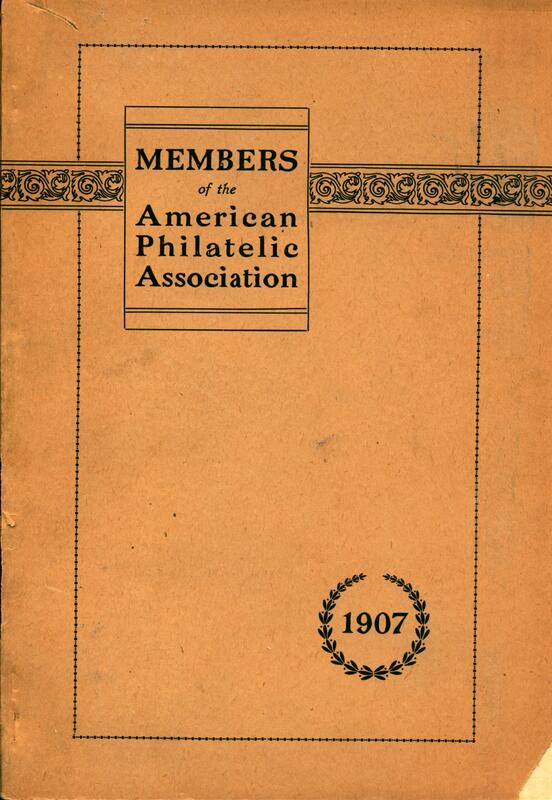 By 1907 the 40 page Members List of the now renamed American Philatelic Association included not only the alphabetical listing of members, but also a geographic list by state and then by city within each state, as well as international listings by country and city. 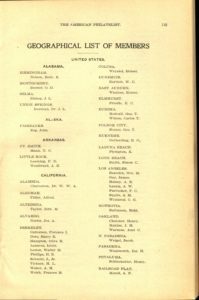 Also included in the 1907 list at the back is a “Summary of Membership” which provides totals for the number of members in the Society by state and also by country. 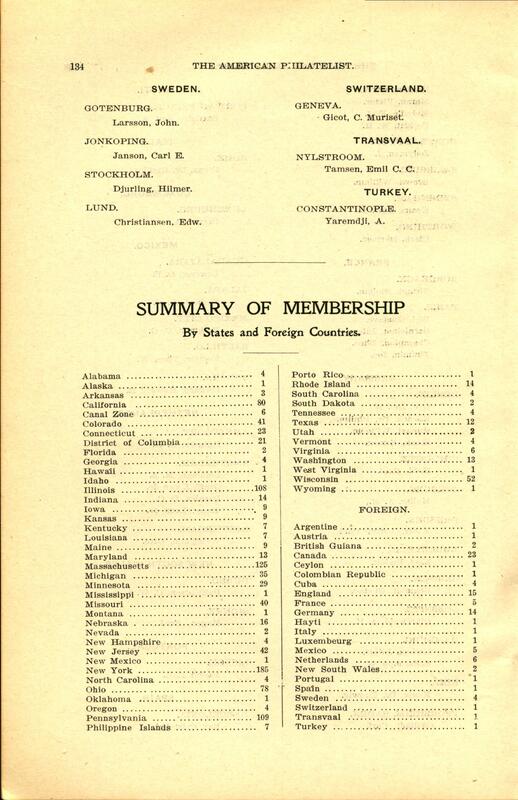 At the time there were 92 international members in 22 countries. 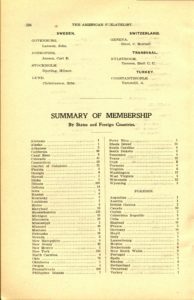 This type of information can assist the researcher interested in exploring the membership history of the Society as it grew both nationally and internationally over the years. 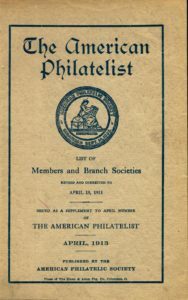 In April 1913 the annual list became a much more formal and resourceful document including the standard membership listings as well information about Branch Societies and the Officers of the Society. 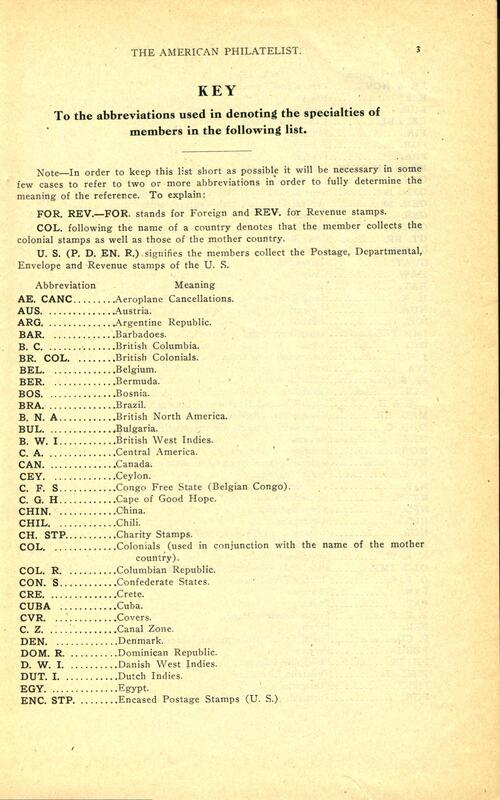 Still included with the list was the geographical summary of membership but now a new invaluable feature was added to each member identified in the member list, abbreviations denoting geographic and subject collecting interests for each member such as “CAN.” for a collector of Canadian material and “REV.” for those who collected Revenues, and many more such designations. 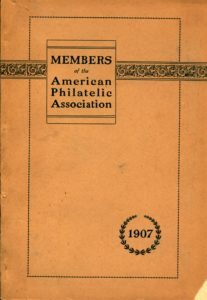 One of the last Member Lists, known as the Member Directory, appeared in November 1980 and is over 430 pages long. 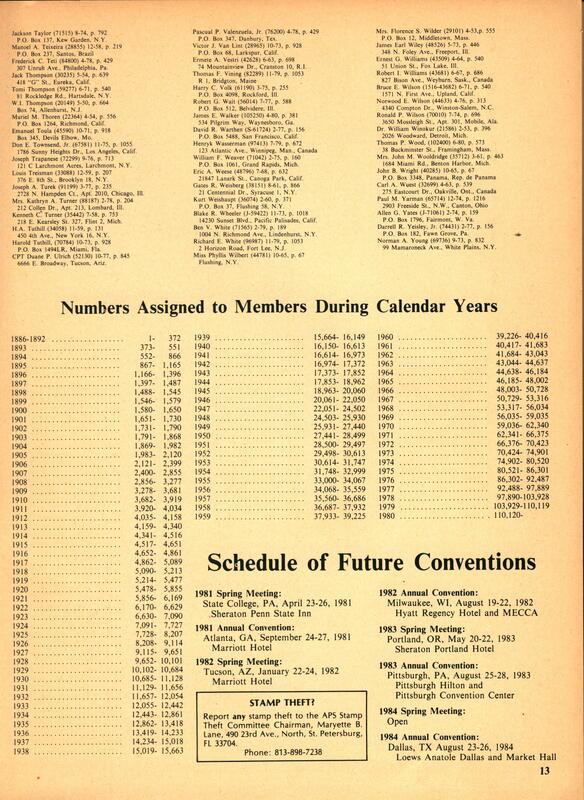 The Directory now came to include a further wealth of Society information regarding Officers, Board of Directors, Affiliates, Chapters, Dealer Members, Committees, Conventions, and a very interesting table titled “Numbers Assigned to Members During Calendar Years” which lists the range of member numbers given out annually each year starting in 1886 up to and including 1980. 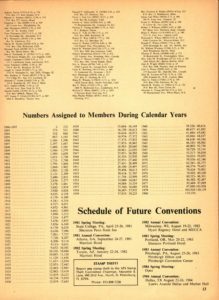 From the table we can see that 1976 saw the largest number of memberships during that period when member numbers started at #86302 and finished with member #92487, a jump of over 6100 members. 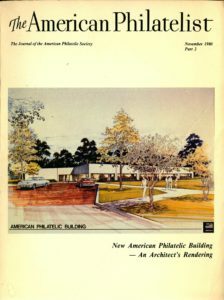 Presently the Library’s collection of Membership Lists and Membership Directories are housed in the bookcases behind the Reference Assistant’s Desk on the first floor of the public space of the APRL. The lists are not permitted to be borrowed and due to privacy concerns the more personal information contained therein is not available for research. 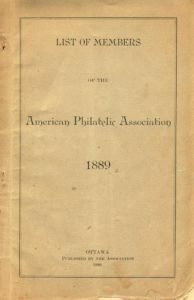 Often the lists and directories are used by both APS and APRL staff to confirm whether or not a particular person was a member of the Society at any time and for how long, however, this collection of unique research material also provides a wealth of additional information about the history of the Society including its geographic composition and historic membership trends as well as the collecting interests, scope and size of the Society and its members over time. That’s a great resource, Scott. 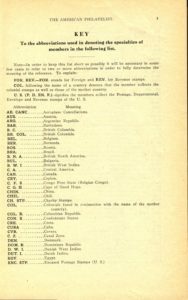 For those of us who do research into the history of the hobby in the US, another interesting resource for the 1930s is “The Blue book of philately – a	who’s who in the stamp world”. 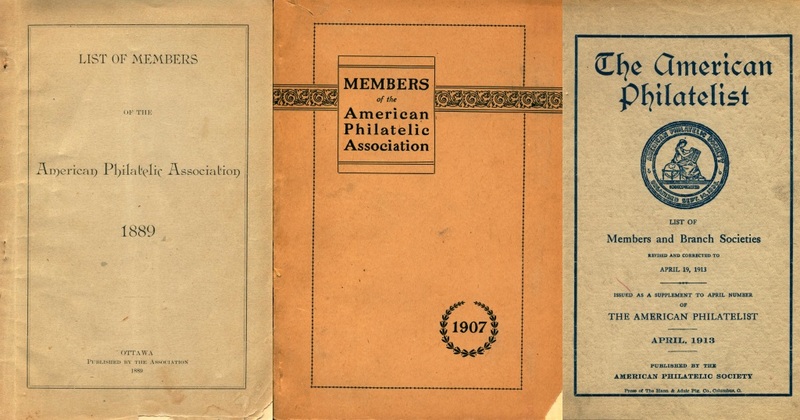 The APRL has the 1935 and 1938 editions, but other years were also produced. As a published source, which may be kept on your and other libraries, I wonder why information which is already in the public domain – with the express consent of the members who supplied the information – should not be made available to everybody? Especially when many of the members are long deceased? 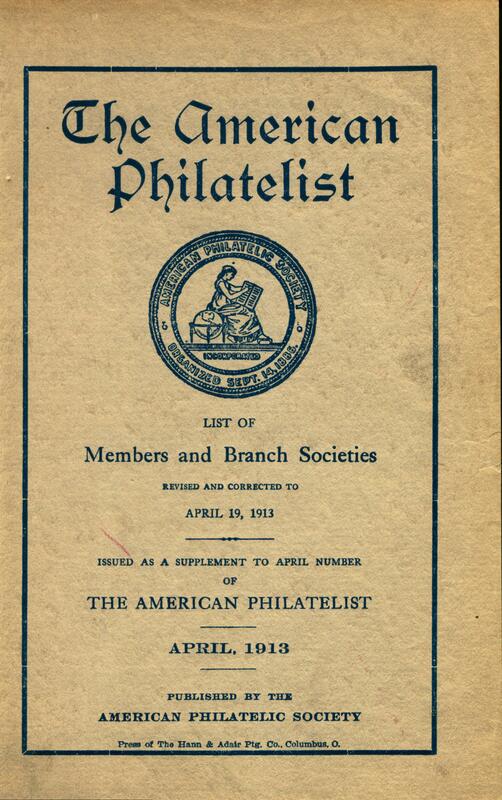 The lists could be a useful tool to trace past collectors and help writing their story. 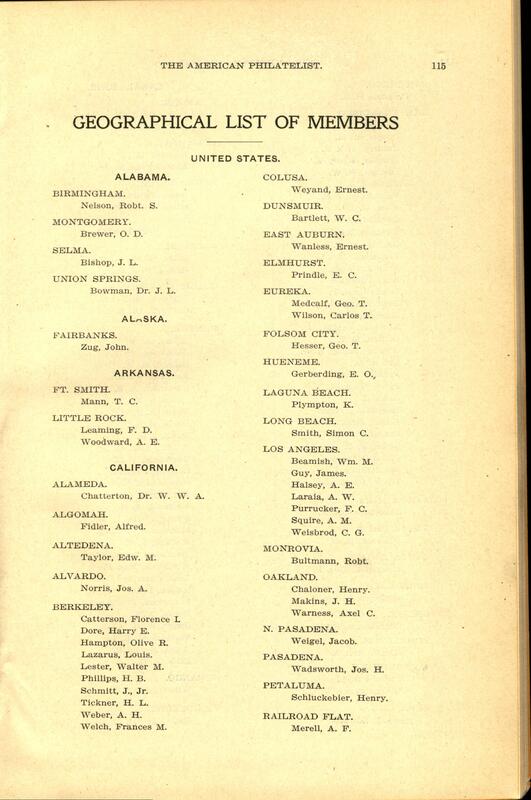 The member lists are not in the public domain. They were produced in limited quantities and distributed to members. We do not have a record of whether members expressly gave consent to have their information published, and at some point the practice was stopped. So, we do not feel comfortable making these lists available without restriction. We do regularly use them to answer research questions, though, and are happy search them on behalf of our members. We always try to strike a balance between providing access to information and protecting privacy, and the privacy concerns of our members are very important to us.